“What’s the problem? The lift is rated for 9,000 lbs., right?” That assumption could cost you. You need to make sure you know how lifts operate before you bet your life on it. There are several factors to consider. KNOW THE VEHICLE YOUR LIFTING. Knowing what they weigh, and not what they can carry. You need to know the vehicle’s classification by gross vehicle weight (GVW). 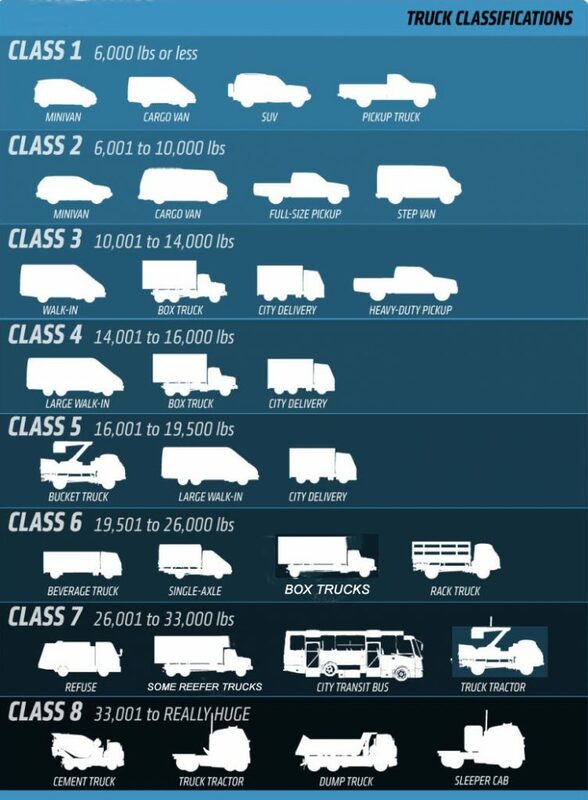 As Andrew Collins explains on jalopnik.com, understanding a trucks weight, and not just payload, comes from the classifications. For example, a full-size pickup truck, like a Chevy 1500 or Ford F-150, falls into a Class 2 vehicle classification (6,001 lbs. to 10,000 lbs.). So, why do we call them a ½-ton truck? Well, trucks were initially advertised based on payload, or what they could carry in the bed of the truck. The payload classes that stuck were “Half-Ton,” “Three-Quarter Ton,” and “One Ton.” This doesn’t tell you how much a particular vehicle weighs. You need to know where that vehicles lifting points are. 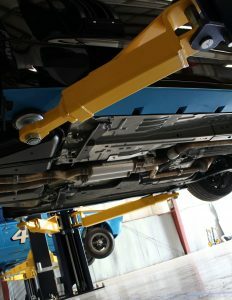 Don’t just throw the lift’s arm under the vehicle and hope it will connect to the frame. Sports cars usually have some unique challenges, even though they may not weigh very much. Jeep Wranglers also have challenging lifting points. You can buy a Lifting Points guide from the Automotive Lift Institute. We also include this guide with all of our lifts. Once you have the arm pads on the correct lifting points, we suggest you raise the lift to the first set of locks, and then check the lifting points to make sure they are fully connected to the frame, before lifting it further. Remember to always set it on the locks to secure the load before you work under the vehicle. WHY A 9,000-LB. LIFT IS A 6750-LB. LIFT. 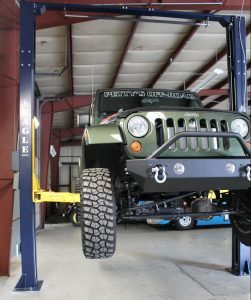 Car lift weight ratings are a common industry designation. Lifts designated as “9K” are often close approximations to their corresponding kg (kilogram) rating. So, a 9,000-lb. lift isn’t always 9,000-lb., but is actually 8800-lb. Many manufacturers recommend only lifting at 75% capacity of the lift…. meaning a 9,000-lb. lift should only lift vehicles up to 6,750-lb. However, Eagle’s lifts are TRUE capacity lifts. Our MTP-9C is meant to lift 9,000-lb. Our 8.5 models (MTP-8.5A and MTP-8.5F) are meant to lift 8,500-lb. You can trust that our 10,000-lb. lift (ECL-10AS) will lift 10,000-lbs … and so on. But you need to know what your lifting and how that vehicle’s weight is being distributed on the lift arms. The greater consideration for car lift weight limits is the weight distribution per arm. Every 2-post lift has four (4) telescoping swing arms for lifting; and these arms actually support the weight of the vehicle. Each arm has its own lifting capacity; for example 9,000-lb. divided by four is 2,250-lb. per arm, or 25% of the lifts total capacity. You can’t go by the lifts overall lifting capacity. 9,000-lb. or 10,000-lb. two-post lift could easily lift it. You would be wrong. A 10,000-lb. two-post lift has an individual swing arm capacity of 2,500-lbs. If the truck has a weight distribution of 2,500-lb. over the front axle and 5,500-lbs. over the rear, the lift arms wuld be overloaded by 500 pounds. You would need at least an 11,000-lb. lift. The distribution of the weight of any vehicle always needs to be taken into account. You really want to buy your lift bigger than you need, but not too big that you can’t lift cars as well…. 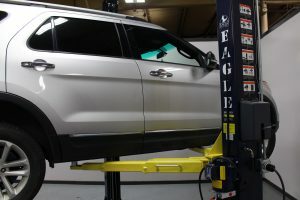 Eagle can assist you in selecting the correct lift. Give us a call at 800-336-2776.